There are obviously many facets to Australian history, as with any country. For the most part, the most commonly covered era is that of the country’s involvement in the World Wars and maybe the occasional contemporary setting. However, Australian history is almost non-existent in mainstream literature which is a crying shame. US: Heey, England! What’s up? UK: Whoa-ho, good. Pretty good, pretty good. Been having a few troubles with my other half though, *nods sadly*. US: Oh really? Which . . . half? Ireland? Scotland? Wales? UK: Wales? Oh them. No, no. Scotland again. Australia: HEY GUYS I’VE ARRIVED. Australia: Soo, what you been up to? Haven’t seen you for ages! Your letters must have gotten lost in the post. US: Letters? But we didn’t – you have post boxes? US: I mean, yes. Silly postal service. France: Oh hey there UK, *winks*. Australia: Thanks bro. Hey maybe we should have our own little party with China or someone. The point being: today! I’m going to take you on an adventure to explore what Australia actually is and why we should be taking advantage of this setting more often because YES! Today, we will see why Australia is a way cooler setting than America in most situations, *throws gauntlet down*. Bite me. 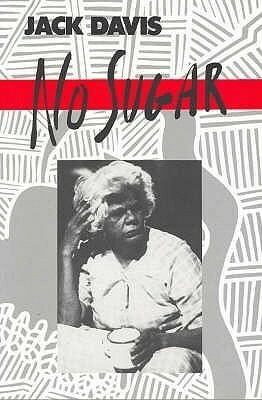 We also have an absolutely horrible history between settlers and Aboriginal Australians which is so hard to come by in literature – especially if you’re not Australian. But it’s definitely something that should be talked about. Lastly, before we get into this. Please, PLEASE – if you have any questions at all about Australian history or would like me to do a Past to Paper on a specific topic you’d like to know more about, don’t hesitate to let me know! Australia, being my backyard, is a history I like to talk about until the cows come home. Just let me know in the comments below, on Twitter (ozbooksnail), on Instagram (ozbooksnail) – or head over to my Contact page and find my e-mail there. So, You Don’t Ride Kangaroos? 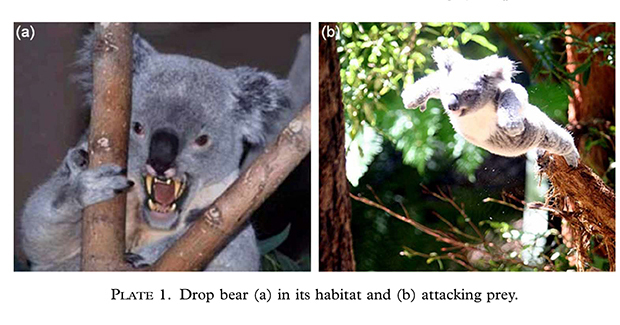 Secondly, drop bears are real. No, I’m just kidding. For the sake of keeping your trust allow me to direct you to Google: “A drop bear (sometimes dropbear) is a hoax in contemporary Australian folklore featuring a predatory, carnivorous version of the koala (Phascolarctos cinereus). This imaginary animal is commonly spoken about in tall tales designed to scare tourists.”. We’re a very mean group of people but hey, you try living on the fringes of the world. Got to make up your own fun out here. Thirdly, we do have houses. This might genuinely shock some of you. 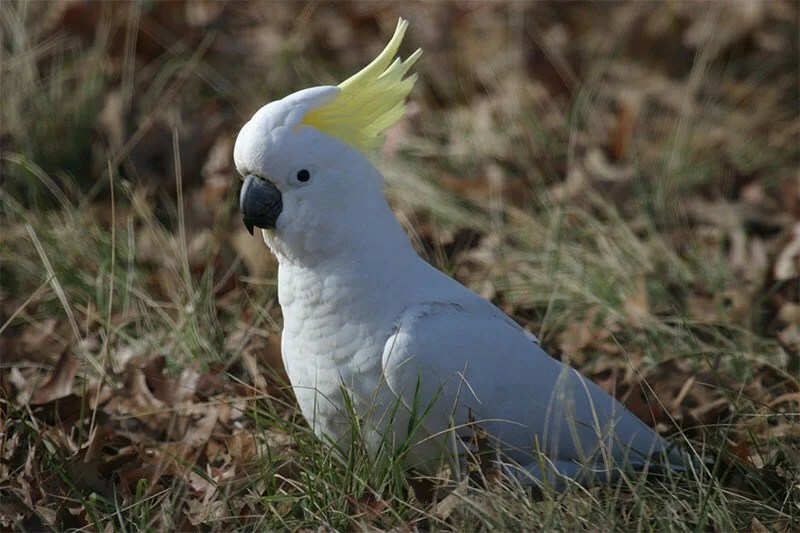 Sometimes people get confused when they see pictures of Sydney or Margaret River and notice that not only can we also have normal houses but we have some green vegetation too. Just, not much. But we don’t (all) live in the desert – most of Australia’s population lives on the coast where the weather is bearable and you can, you know, grow food and stuff. Our wildlife will kill you. This one is true, unfortunately. But we’re secretly proud about this – we like to scare the willies out of people by reminding them often of the dangers we face each day. That makes plots, such as that in The Light Between Oceans where a character dies from a snake bite a picnic, entirely believable because yeah – snakes are a real danger here. We might try to be brave around tourists, but secretly we scream each time we find a spider in our house. Vegemite. I hate the stuff – and I fully expect to be assaulted by my fellow aussies for saying those sinful words. People are obsessed with it. You might be aware that I’m going to America for six months next year? Yes? 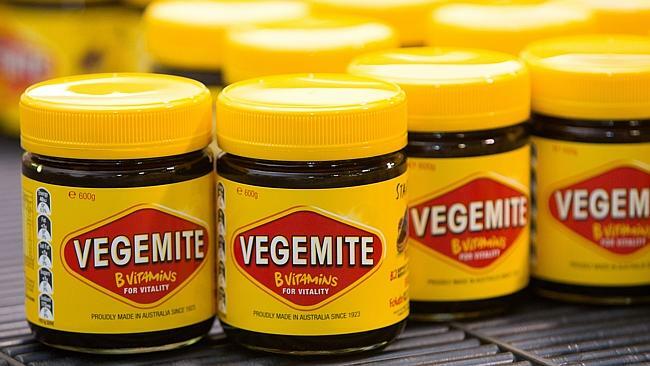 Well, the Australians coming with me have had multiple discussions on how best to stock up on Vegemite so that they survive their time away from the motherland. And lastly, we take great pleasure on messing with tourists (as you might have noticed with the whole drop bear thing). We will speak louder, sink into our accents until we’re positively bogan, use an unnecessary amount of slang, and make you feel uncomfortable by referring to the fact that we wear thongs (flip-flops) all the time. So I guess we don’t help ourselves on the stereotypes front but geez it’s fun. Now, onto our next adventure in the land of spiders. Australia is a very diverse country. 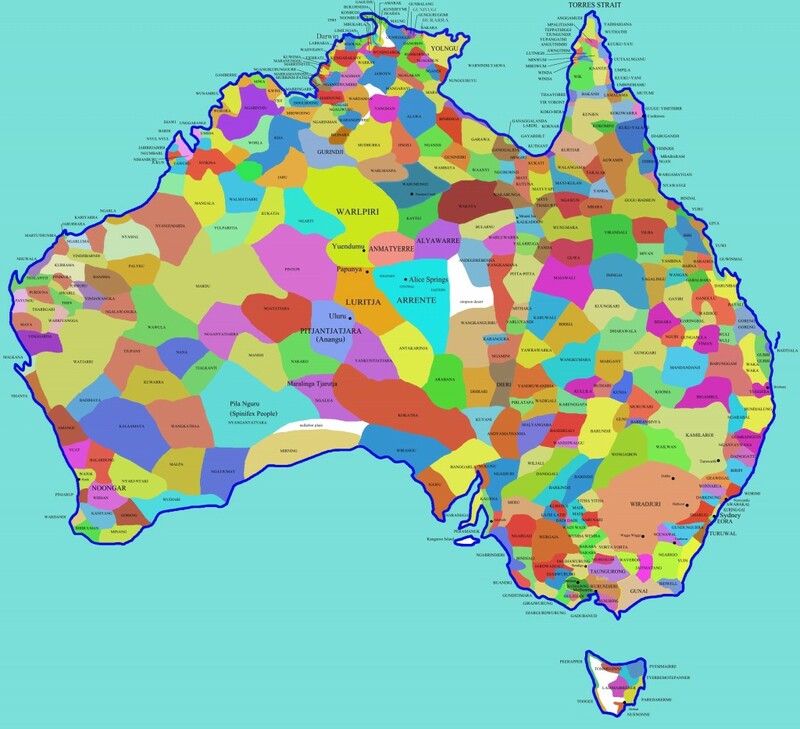 So I want to show your the geography and where colonisation happened – the amazing spread of Aboriginal Australians throughout the land before colonists messed everything up. This country is incredible but we cannot forget the injustices on which our country began. Clearly the world has a flag-making obsession. There are different flags for just about everything. Sheesh. Ahem. Throughout these states and territories there are a bunch of different terrains. 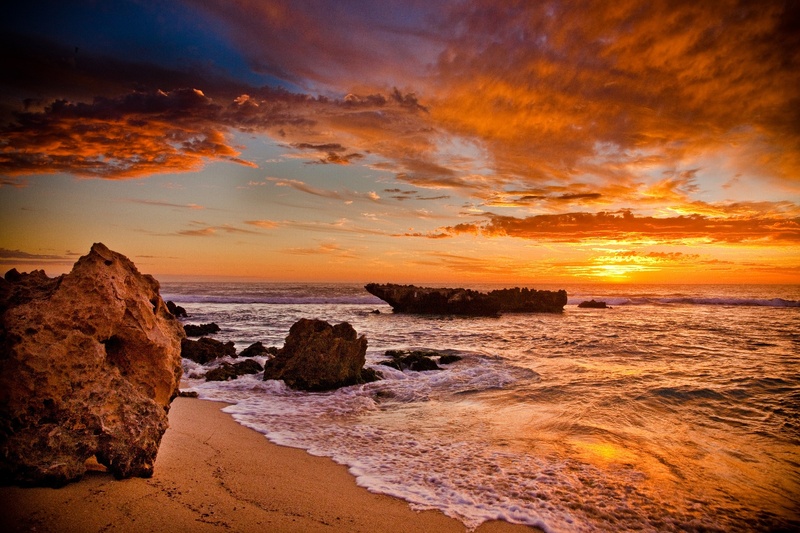 You’ve seen about the beautiful Margaret River, but there are deserts too, ten to be exact. There are beaches, there is urban sprawl, and there are shrub lands and wooded areas. We do also have a couple of mountains. Not to mention the magnificent Uluru. There are so many potential settings out there. How someone hasn’t written a fantasy book where a band of characters fight magically enhanced Australian animals as they make their way across the country, I do not know. Despite these harsh climates towards the centre of the continent however, Aboriginal communities have lived there for thousands upon thousands of years. Which is pretty admirable if you ask me. My favourite thing about Australia though, is looking at the map of the Australian Aboriginal lands. I would love to travel back in time and see each and every different group and see how different their lives were. The indigenous history of Australia is actually really quite cool and it’s an absolutely tragedy with how much of their culture was lost. To backtrack quickly, before colonialists came the indigenous people of Australia lived right across the continent and had a variety of traditions and beliefs. Archeological evidence suggests that they have inhabited the country for at last 40,000 years. Which is a very long time. The Aboriginal people have an important connection to the land as they view is as it is that which is sustained by and sustains the people. Seeing as land was one of the things that colonialists took from them, that causes multitudes of problems as buildings have been constructed on sacred sights or places such as Uluru were climbable until recently – when the Australian government finally recognised it as their land and therefore their right. Australian Aborigines were semi-nomadic hunters and gatherers and they lived in a variety of different territories successfully, including the deserts. We can’t limit this definition of indigenous Australians just to Aborigines, however, as there are also the Torres Straight Islanders. When Europeans arrived, it has been estimated that there were over 600 different clans or nations around the continent. Each identified through their land areas, their language, their relationship to others and their stories. Aboriginal history is an oral history in this sense. Hundreds of languages and dialects exist but many are now extinct. Their ancestor spirits came to earth in human form and created animals, plants, rocks, and other forms of the land. They created relationships between different grounds and between individuals and the land, animals and other people. Once this creation was done, they changed into trees, stars, rocks, watering holes and so on. These are the sacred places of the Aboriginal culture. The tools and weapons used by the Aboriginal people vary depending on their location: so fishbone for the coastal areas or stone for for desert tribes. According to the Australian Government’s article, “Australian Indigenous cultural heritage”, the Aborigines were the first people in the world to introduce ground edge on cutting tools and also the first to grind seed. You might be familiar of images of Aborigines ready for ceremonial performances. These are at the core of their cultural life. There are songs for every occasion and these are exchanged at ceremonial gatherings where goods might also be exchanged. The Corroboree is the dance ceremony where the Aborigines connect to the Dreamtime. Lastly, the artwork of the Aboriginal people is magnificent. Their dot paintings are relatively famous and if you haven’t a clue what I’m talking about then look up Australian Aboriginal Dot Paintings and be wowed. Most importantly, however, the surviving artwork reflects the immense diversity of the Aboriginal people. So Australia goes back a long way with a magnificent history and interconnectedness of its indigenous peoples to the land and animals. 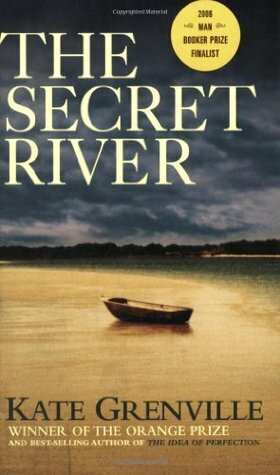 But tell me, have you ever read an ancient history fiction novel set in Australia? History then gets dark when Europeans arrived on the shores of Australia. This is as far as I’m going to explore today but it goes without saying that tensions still run rife today between indigenous peoples and everyone else. Conflicts between land rights, the need to apologise, and the demand for respect, are things that are trailing sorely behind the state of affairs. Walking around any Australian city, you’ll notice on many an old monument a more modern plaque added on to acknowledge the Aboriginal people – such as ones involving the death of Europeans, these might say “we acknowledge the right of indigenous Australians to defend their land”. It’s a political mess. But back to colonisation. 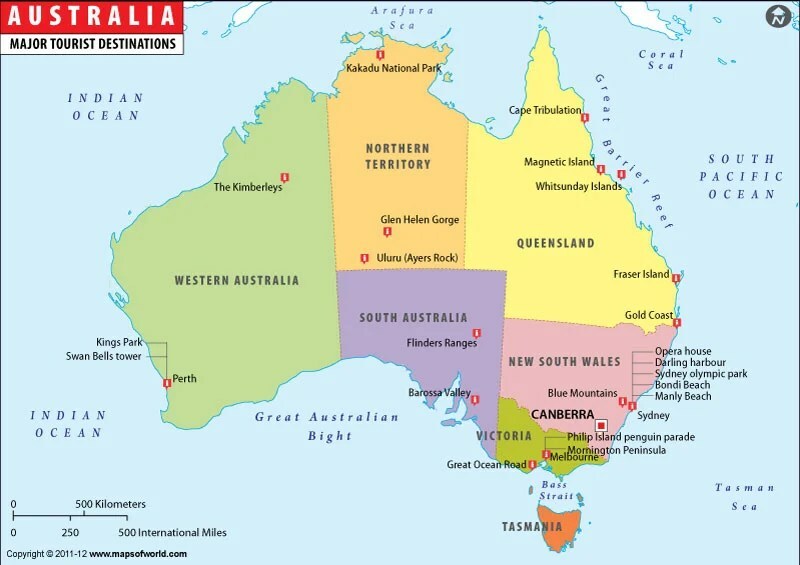 Back in the 17th century, what is now called Australia was referred to as Terra Australis Incognito (= unknown southern land. #Inventive). There were an estimated 54 European ships between the time of 1606 – 1770 that ventured to this land of southerness and dipped a toe in its waters. Most of these were from the famous Dutch East Indies Company (a company for spices, etc, around Indonesia). Any Australian will know the name of Lieutenant James Cook who, in 1770 upon his ship Endeavour claimed part of the east coast on behalf of King George III of England. This is New South Wales. However! It was Captain Arthur Phillip and The First Fleet who actually colonised the country. He brought over 1,300 people with him at Botany Bay. And we still sing sailor shanties about good ol’ Botany bay. Many of the people that came here were convicts – England’s jails (or should I said, gaols) were getting to full so send them off to the other side of the world! said the king. And they did. They didn’t do a very good job of settling, however. You might have noticed previously in this post that Australia is a hot country (I mean, not to boast, but TEN deserts? *brushes dirt of shoulders*). Ahem. So yes, they did a bad job and ended up relying on trading food with Aborigines for the most part. Then a second fleet arrived and brought fresh supplies – but the convicts were ill and it has literally been called the “Death Fleet” because over 200 on the fleet died. Anyway, and so on and so forth. Fleets arrive, people die, farming proves tricky. Official verdict? Australia is definitely not England. A trade relationship between Aboriginals and colonisers went okay, for a little bit. But then the Aborigines worked out that the Europeans were, in fact, ruining everything by their presence and massive drain on resources. They brought diseases, they brought people who didn’t respect the indigenous or their land, and that’s usually a bad recipe. I feel like Americans will understand this part of the story well (talk about history repeating itself). Mostly, this resulted in various attacks on colonisers. Government in Australia didn’t really start to be something until 1823 in NSW – prior to this that colony had been a penal colony, so one for convicts. The Federation began in 1901. Now, you must take me seriously here: there was a treaty made called the Batman Treaty. This happened in 1835 by a guy called John Batman to deal with land ownership for Indigenous people, *raises eyebrows skeptically*. See, now this was a problem because it meant that colonisers had to respect property of a people who they saw as barely human. So, what did they do? A guy called Sir Richard Bourke makes a proclamation to say that, in fact, the land belong to no-one before the Crown stuck a flag in it. Boom. Easy. Free land for colonisers. Therefore, anyone found in possession of land without the crown’s blessing would be exiled to Siberia (okay, not Siberia, but you get the gist). Want to know the really sad part? Despite people knowing and trying to recognise that the Aborigines had land rights, government mostly stuck to this proclamation . . . until 1992. Yep. 1992. Van Diemen’s Land (Tasmania) was settled in 1803 by John Bowen. It became officially known as Tasmania in 1856. Western Australia was established in 1827 by Major Edmund Lockyer and the Swan River Colony was proclaimed in 1829. South Australia was 1836 and became a British colony in 1842. Victoria was 1803 by Lieutenant David Collins (although he chickened out and moved to Tassie because Tasmania actually gets rain sometimes). Oh, and Mr. Batman settled in Vic, too. Queensland was 1824 by Lieutenant John Oxley. The Northern Territory was 1825 and initially a part of the NSW colony. 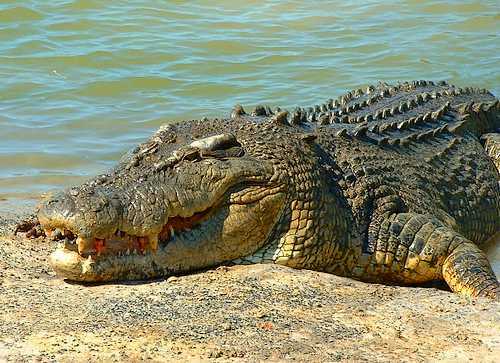 It’s capital, Darwin (it has scary crocodiles) was established in 1869. The impact of this on the Indigenous people was dreadful. The combination of the introduction of new diseases, acquisition of lands and violent conflicts saw the native population spiral downwards dramatically. Later, the event now known as the “Stolen Generation” occurred which was even more traumatic. The estimated population decline between 1788 to 1900 according to Australians Together was a 90% reduction. The Stolen Generation was the forceful removal/abduction of Aboriginal children from their families to bring them up in the European way which was seen as civilised compared the barbarous ways of the Indigenous peoples. Not that they would have the same rights or opportunities, of course. Obviously this was codswallop and has broken up families, cultures and relationships over generations and is a prevalent issues today in Australia. The Australians at the time were content to let the Aborigines die out because that would be easiest for them. But they didn’t, thank god. 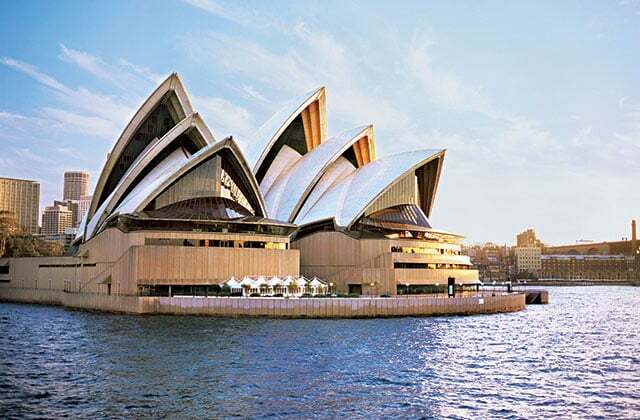 Even after numerous horrific assimilation attempts (such as the belief that if you interbred Aborigines and Europeans eventually their physical appearance would be washed out) their culture still stands proud and forms an essential part of Australia’s history. What I would love to see is this history on paper. I live in Australia and I find it difficult to find Australian history incorporated into stories. 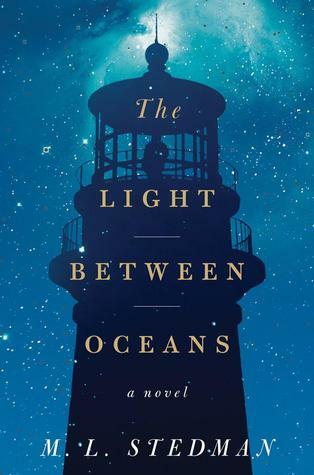 There are plenty of dry historical fiction and non-fiction books out there that do face this, but I think a residual guilt and a lack of desire to touch this sensitive topic has left it in a dark corner when in reality it should be spoken about. This is straight-up and easy choice. The history is already fairly dystopian but I think if a fiction author were to incorporate this with a sci-fi element they could make a cracker of a story and drive a really poignant point home. There are plenty of stories out there waiting to be told. It would be so easy to write books like the popular ones at the moment (i.e. Holding up the Universe, even Fangirl) but have it focussed on Aboriginal Australians in contemporary society and the difficulty of balancing lifestyles. Like I said: where’s my expedition across the country fighting off fearsome Australian animals? Fire-breathing Frilled Neck Lizards! Laser-Eyed Kangaroos! Giant Spiders! Wait. . . that one’s been done – Giant Thorny Devils (these ones are particularly cool)! Wouldn’t it be marvellous to make an epic ancient history fantasy story following an Aboriginal protagonist battling against the odds? Now I realise this would be tricky if you were to do a retelling of the Dreamtime story, that could, and probably would be, offensive. By I’d love to see a fictitious representation of their creation story. Or, maybe a retelling of history – alternate history – where something did or didn’t happen. 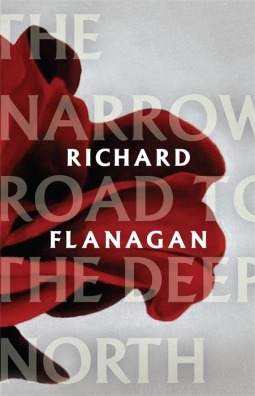 There are a good few books set in Australia, but very few who look at its history – of any kind. Here are a few I’ve rustled up. I applaud you, good sir or madam, if you made it to the end. That was a very, very long discussion. I hope you enjoyed reading it as much as I enjoyed making it – and I hope that you learnt something new! Let me know if you know of any good, interesting, and lively historical fiction books for Australia! And don’t be shy to ask any questions. I’ll see you again next month! What Happened to Southern Africa? Wow!!! What an amazing post!! It always makes me sad that Australia is always kind of overlooked. We have some of the most beautiful scenery and creatures in the world. I think perhaps we have shot ourselves in the foot when it comes to tourism, us Aussies really take pride in the fact that we have some of the most dangerous animals in the world lol. Oh I think I have heard of The Dalai Lama’s Cat…it actually really sounds like something I would read, so I am going to add it to my TBR list. Hahaha I will have to have a look at those pages. It’s funny that people would think that they will die if they come here. Actually, is there an Australian animal that won’t kill you? I need to find that out now haha. I would love to see more Australia, too! The US is so boring and repetitive. I’d also like to see more Canada, because to most of the world, we are just the same as the US and we aren’t! I’m sure New Zealand feels similar! Canada also has a history of residential schools (our Stolen Generation) for which we are still trying to come to terms with/apologise for/pay the victims reparations for. I would read that in a heartbeat! 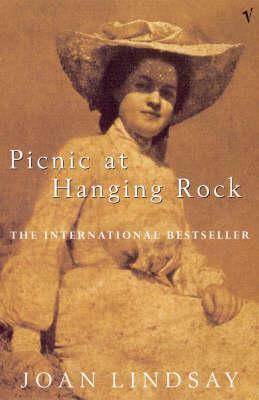 There is only one book that is fairly mainstream that I know is set in Canada, Anne of Green Gables. Then there is a recent YA release that has some minimal talk, Shooter. That’s it unless you go into the weird Canada Lit books. This is a really great post! I believe that NT and ACT are territories and not states is due to the fact they were formed after Federation – NT was a part of SA at Federation, but then was separated to become its own territory which was under the Commonwealth government’s control. ACT was formed I believe for the sole reason of needing a capital state LOL. My uncle and his family live in Australia and recently when he came down to India to visit us he brought me an Aboriginal dot painting tote bag. I’m not sure if it was done by Aboriginal people and sold by them or if a big company is just promoting this for tourism but it’s so absolutely beautiful and it’s my new favourite shopping bag. This was such an interesting post and damn them drop bears…. I must admit, before this post I knew absolutely NOTHING about Australia’s history. It just isn’t something they teach in American schools unfortunately. It really isn’t funny but I laughed out loud at this one. Yup. Been there, done that. LOVED learning more about your home land! I will be looking forward to your post on the middle east! Haha I’m glad you liked it!! It’s such a shame that we can’t learn absolutely everything of ever about history at school (well, I think so) but I guess that makes it exciting to research things in the future! Don’t reveal our Drop Bear secrets, Kirstie 😂😂 haha no. Even though I live here, this was such an interesting post! I even learnt some new things.The map of the Aboriginal lands was super interesting to see. Vegemite FTW, though. Haha I felt a little guilty about the drop bear thing but the Historian in me couldn’t bring myself to lie in this post 😂 Ikr! How interesting is that map? !